Some people who are still new to the BBM for Android and iOS App find it so difficult to have new contacts to chat with on their BlackBerry Messenger App because of two main reasons, some don't know how to locate their PIN after installing the BBM App and some knows how to locate it but they don't know how to share it with others. This post explains briefly How to find and locate your BBM PIN and also, How to share it with others. 1. 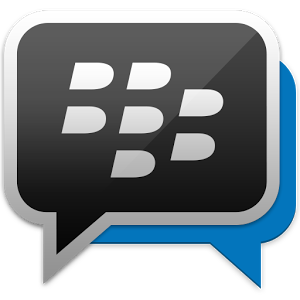 Tap your profile photo in the top left hand corner of the BBM screen. Your BBM PIN will be shown below on the profile page. 2. To display your BBM PIN and PIN barcode together, tap on the profile page. 1. Take a screenshot of your BBM PIN barcode and post it to Facebook, Twitter, Google+, Pinterest or Instagram so that your friends will be able to scan it on their PC and add you. 2. Share your BBM PIN in the following format so that Android and iPhone users can click on it to quickly add you ; www.pin.bbm.com/YOURPIN. For example, click this link on your phone and see what happens !!! - www.pin.bbm.com/76427B64 ...Fast ? 3. BlackBerry Smartphone users can click on your BBM PIN when it's in the format - pin:YOURPIN e.g. pin:76427B64.